The US is represented by these elected officials: 1 US President, 100 US Senators, and 435 US Representatives. US Senators and US Representatives are collectively termed Members of Congress or MoC. 2 US Senators (Sens. Booker & Menendez) represent NJ. 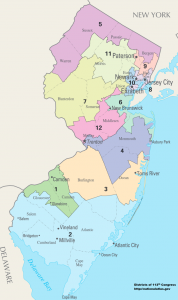 12 US Representatives each represent one of the 12 Congressional Districts in NJ. Find your Congressional District and your US Representative here. Interesting Note: All MOCs will be up for reelection in 2018. Our state is represented by these elected officials: 1 Governor, 40 NJ Senators & 80 NJ Assembly Members. 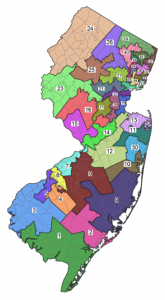 Each of NJ’s 40 Legislative Districts is represented by 1 NJ Senator & 2 NJ Assembly members. NJ Senators and Assembly members are collectively termed State Legislators. 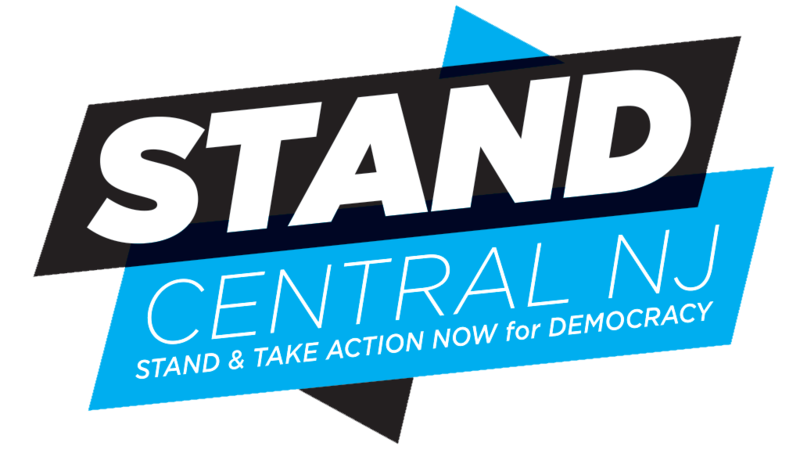 Find your Legislative District and State Legislators here. Interesting Note: The Governor and each of these State Legislators are all up for re-election in 2017! 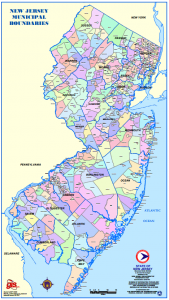 Each county in NJ is represented by a Board of Chosen Freeholders. Each of NJ’s 21 County Districts has 3-9 Board members, depending on population, and is led by a County Executive. Find your County name here. Find your County website here. 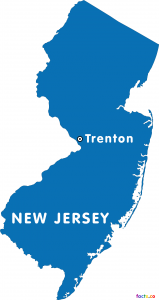 Each municipality in NJ is represented by a Town Council and led by a Mayor, or other similar leadership. 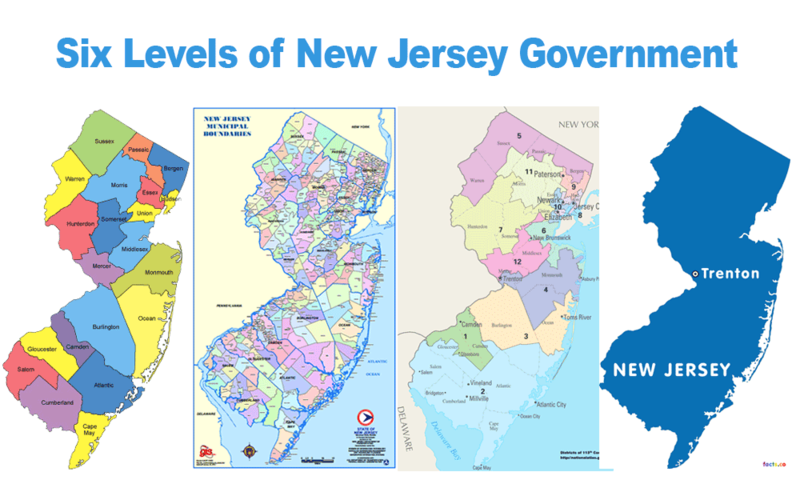 Each of NJ’s 565 Municipalities has their own government structure that determines the type of representation. Learn about the different types of Municipality governments here. Find your Municipality website here. Interesting Note: NJ used to have 566 Municipalities. Over the past couple of years, Princeton Borough and Princeton Township merged and now NJ has 565 Municipalities. Each public school district is represented by an elected School Board. There are 691 different public school districts in NJ; no one map exists for all of these districts. Find your School district here. Interesting Note: Education accounts for about 30 percent of state expenditures. Each voting district is represented by 2 elected Democratic Committee Members and 2 elected Republican Committee Members (with one man and one woman for each). These voting districts are small neighborhoods within a municipality. The representatives from each Voting District are also representatives for the respective County Democratic Committee, which determines, among other things the placement of candidates on the ballot. These Voting Districts also determine your polling location. Find your polling location here.